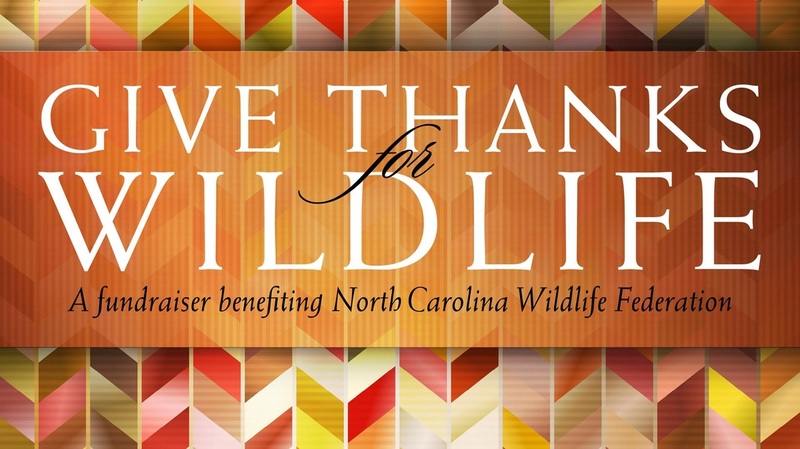 Kick off the season of gratitude by supporting and celebrating North Carolina’s wildlife! Wear your favorite cocktail attire and join us for a wildly fun and informative evening to give thanks for our state’s rich and diverse wildlife and habitat. All event proceeds benefit North Carolina Wildlife Federation. Thank you to our Host Sponsor: U.S. Trust. - Debut of community-created art mural featuring NC wildlife photos. Questions? Send an email to greta@ncwf.org. Recommended parking is in the adjoining parking deck, Bank of America Center Parking Garage, between College and Brevard Streets with entrances on Trade and 5th Streets. The Urban Garden venue is accessible from the 6th floor of the parking deck.